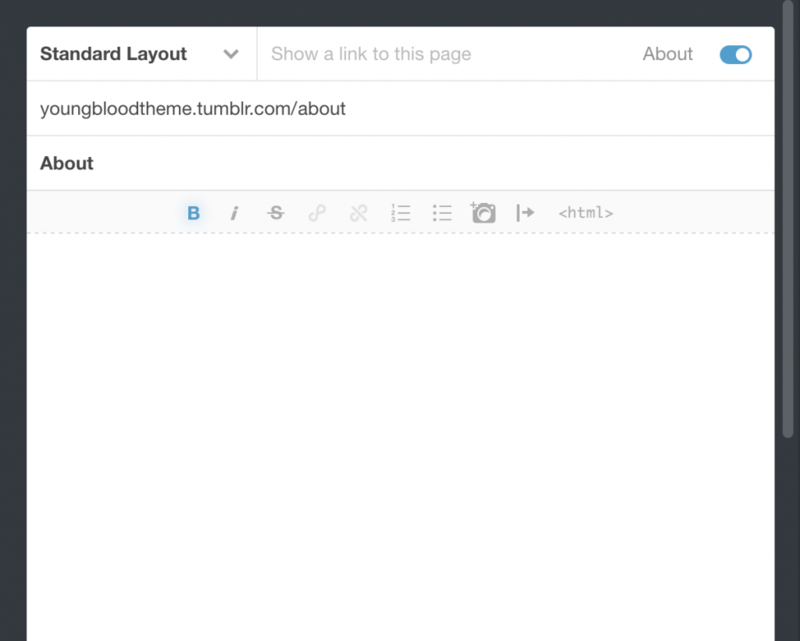 To add a page to Tumblr go to the Customize screen then at the bottom find the Add a page screen. Here’s an example of a page linked. To add custom links, find the following section on the customize screen. On most of our themes you can add a total of 10.